I don't usually write testimonials but feel compelled to with this make up line. Like many of the other reviewers, I've used Bare Minerals and Jane Iredale which were okay but NOTHING like Mineral Hygienics. I would say every positive thing the other reviewers have said and add that the first time I applied the base and blush, I was taken back by the difference. The coverage is amazing and sooo natural looking and I didn't use very much. My skin had a glow to it (not a shine) that I'd not seen in years. I'm 54 and am lucky to not have many lines and wrinkles but my skin does not look like that of a 30 year old . . . it did ~ after applying this product. I would recommend Mineral Hygienics to anyone. I think the starter kit is a great way to "get started" as it's all you need. The brushes are very high quality, I was so impressed. As far as choosing a color I will add this, if it helps anyone. I have fair skin with freckles and chose the medium kit which is perfect for me. The fair would have been too light. If you have doubts about trying this product, all I can say is TRY IT. You will be impressed with everything from the quality to the customer service and you'll be a customer for as long as they make it. ...that makes my skin look airbrushed! Testimonial By: A Happy Customer! After having spent quite literally, hundreds of pounds throughout my 20's and early 30's searching for the perfect base, I was constantly disappointed, liquid make-up looked great upon application, but slid off my oily skin by lunchtime. the range. OMG! Am I happy that I did! That perfection that I've been searching for all these years has finally arrived, the prince charming of minerals! It has left my skin looking not only amazing with the makeup on, but amazing when I wash it off too! My acne has eased and my skin is smoother, my ever so incredibly oily skin somehow 'holds onto' this foundation ALL day! It literally does not budge from my skin! I have never topped it up throughout the day! 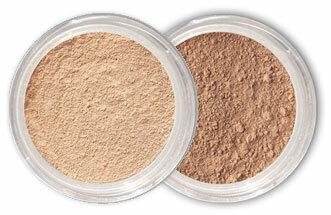 The finishing powder in matte is amazing too! A true translucent that makes my skin look airbrushed! And as for the multi-tasking concealer-WOW! My eyes no longer itch thanks to this amazing concealer! It brightens and yet gives superb coverage, and again, it does NOT budge! It's super smooth like a cream! I really do believe that there is a Mr. Right for all you gorgeous ladies out there, and this is the make-up equivalent, do not hesitate-I promise you won't ever look back! Thank you for such an amazing brand! nOh, and did I mention the service? The best I have ever received from any company! I specialize in the service industry and the customer care from this team has exceeded my expectations, what troopers! Thank you! Make the statement you want, from all natural to bold and glamorous! 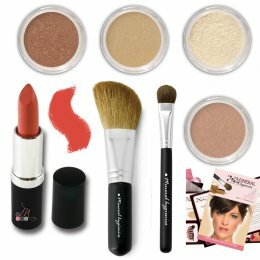 We have 4 Beauty Bag Starter Kits that include everything you need to complete your look. 3 of our beautiful eye shadows, 1 blush color, 1 lipstick (bundled together to complement each other perfectly), an eye shadow brush, and a blush brush for flawless application. Pick your kit. Look great. Save Big.